WARD B – Y Z . During a windstorm in the late winter of 2006 a door had been blown open on an unused building at Kirkbride, the complex of mid 19th century sandstone buildings used as an art school by Sydney College of the Arts. For over a century the buildings were a key psychiatric facility and asylum in Sydney having seen some of the darkest days in psychiatry. 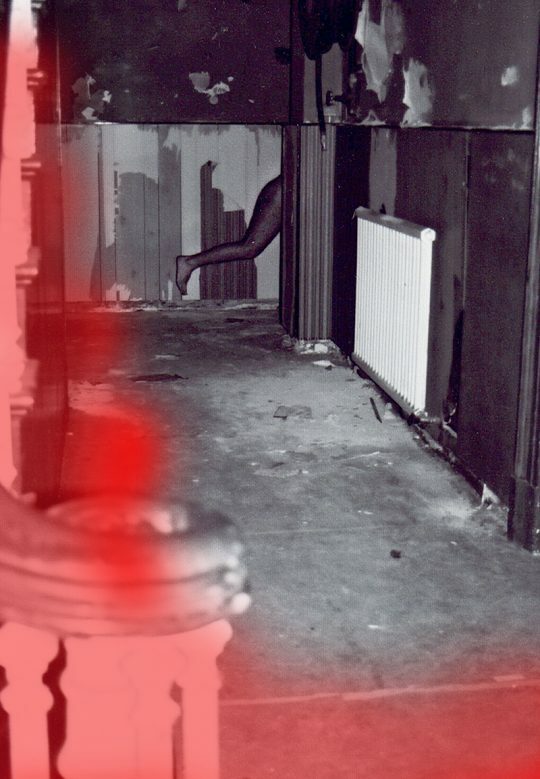 I arranged to meet in Ward B with photographer Doerthe Jansen and began to undertake a performance action in the space, I began to move through the derelict building as a reflection of suffering and solitude. I went into a deep meditative state and had a transcendental experience, unlike anything I could relate to my usual experience of daily life. Doerthe Jansen respected my need for silence and we didn’t speak until we finally left Ward B after about an hour.